If It's Hip, It's Here (Archives): Gold, Diamonds and Dragons. 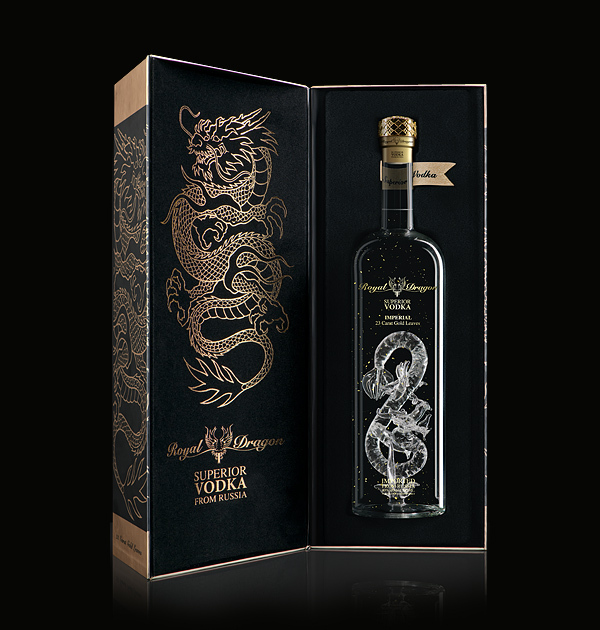 Premium Royal Dragon Vodkas In Stunning Bottles and Package Design. Gold, Diamonds and Dragons. 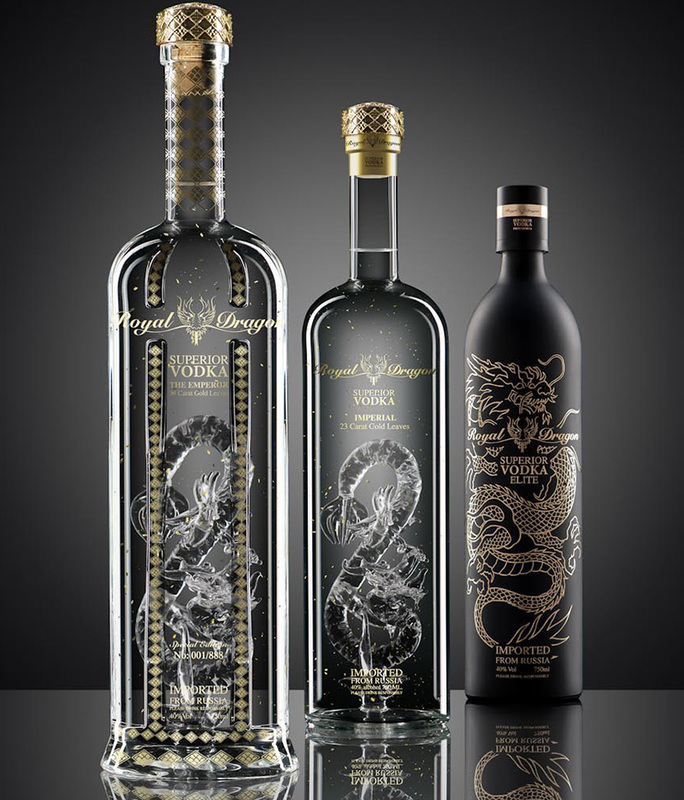 Premium Royal Dragon Vodkas In Stunning Bottles and Package Design. 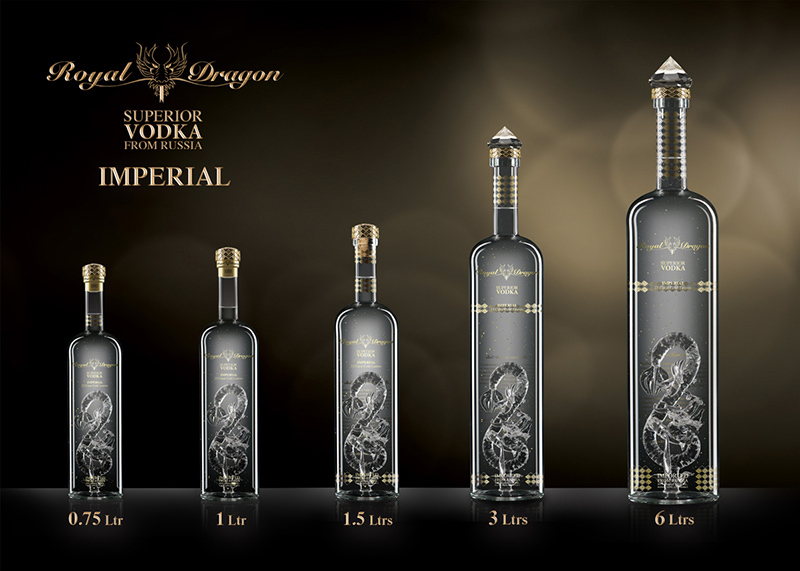 Launched just last year, Royal Dragon by Dragon Spirits Ltd. in Kowloon, is a new expression of Superior Vodka. A small batch vodka, exclusively distilled in Russia from the finest winter harvest rye. 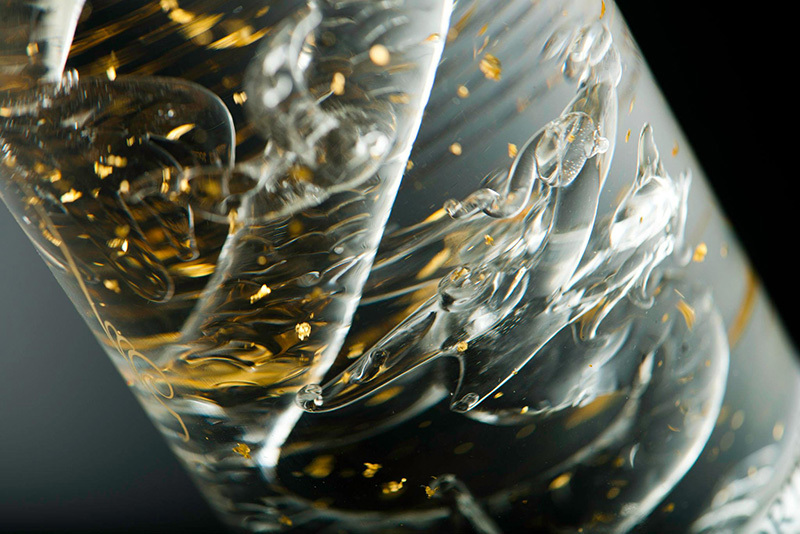 To achieve elemental softness and purity, their vodka is five times distilled, using a century old copper pot still. 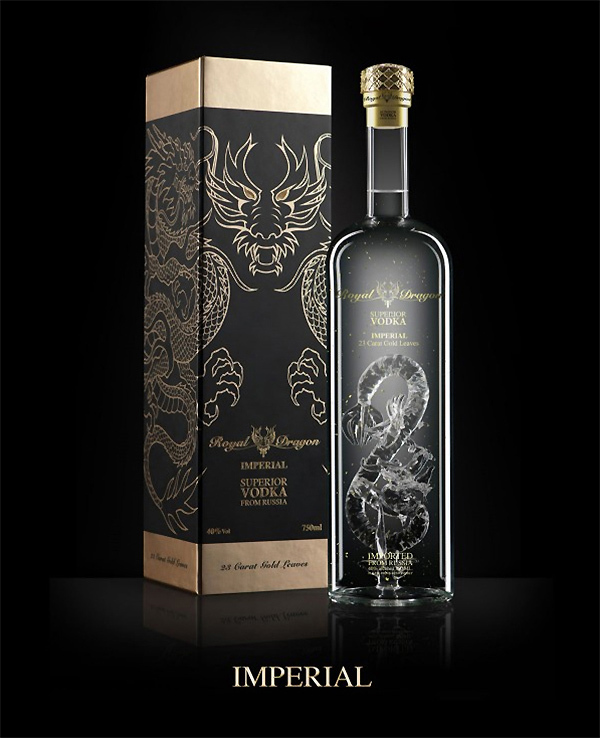 They offer three types; Elite, Imperial and The Emperor ‘Limited Edition’ - all in beautifully designed bottles and packaging. 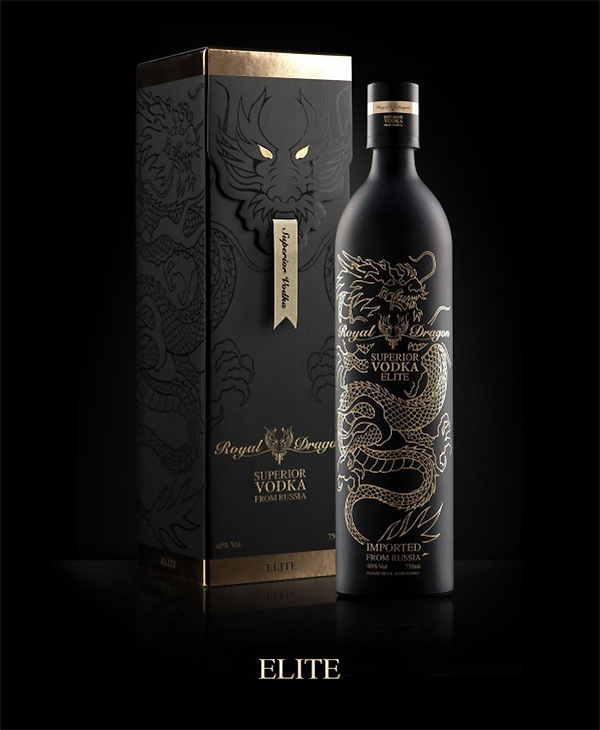 The Royal Dragon Elite is outstanding on the rocks, neat and in the mix with your favorite cocktail. The Elite Vodka is produced from the finest winter harvest rye, organically grown by trusted farmers near our distillery. 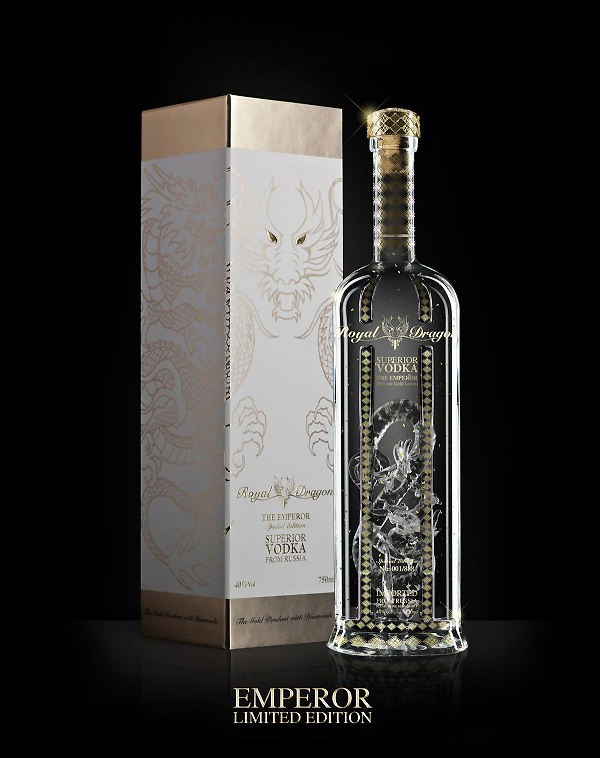 It's not only the taste that impresses; also the specially designed gold dragon bottle creates a unique feeling of luxury. 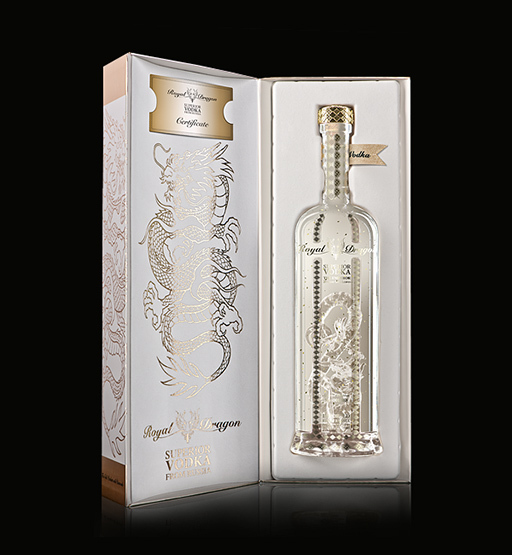 Nothing beats the allure of real gold and real diamonds and the Limited Edition by Royal Dragon Vodka, “The Emperor” a rare and distinct limited batch of 888 Masterpieces, distilled from the finest organic ingredients, has both. 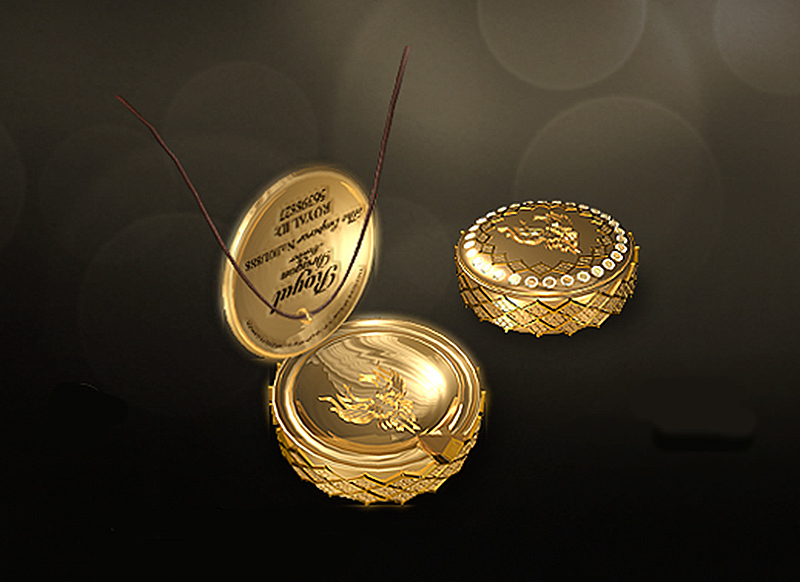 It's infused with edible 23 carat gold leaf and packaged with a bottle top that contains a wearable pendant of 18k yellow gold set with 35 brilliant cut and certified diamonds. This masterly hand blown Dragon caged within a pristine glass bottle is crowned with an exquisite jewellery pendant. 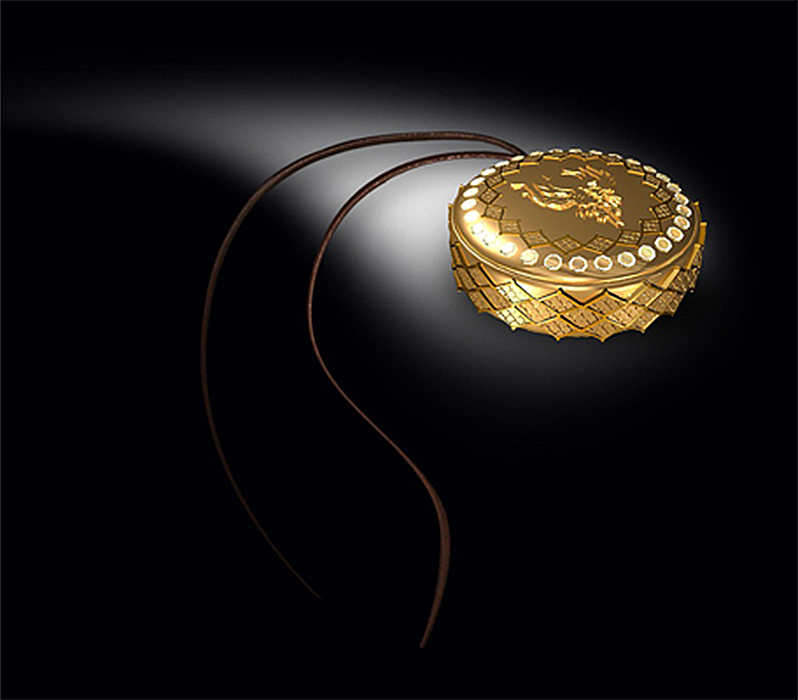 The exclusive Dragon pendant of 18 carat gold is set with 35 perfectly shaped certified diamonds - an exceptional and collectable numbered and signed piece of art jewelry. 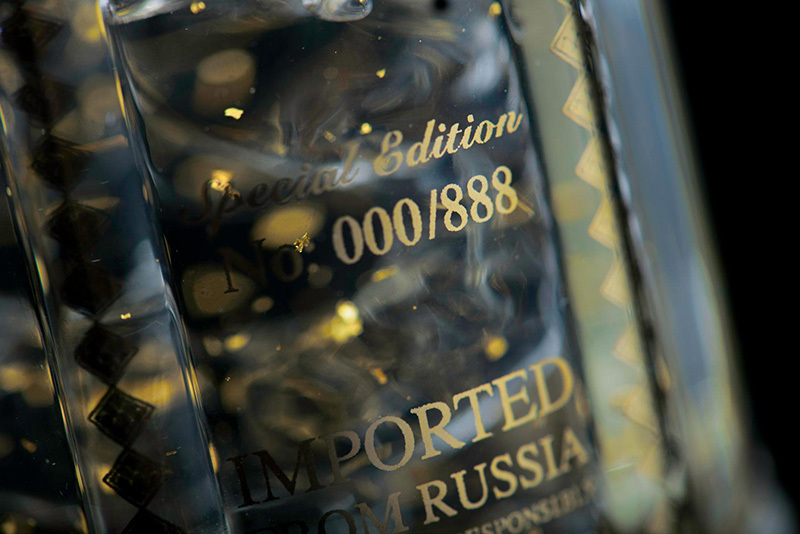 Only 888 Luxury Vodka connoisseurs will receive the prestigious Royal Dragon Vodka Membership. The concept for the bottle design was determined by the client. Designer Nickey Khem created the brand logo and helped with parts of the bottle design.